Good morning! Today is challenge day at 2 Sisters. We are being sponsored this week by Stamp Fairy. Our challenge is a PHOTO INSPIRATION challenge. You can use anything that inspires you from this adorable bunny image. For my card I used this candle image from Inkadinkado. I used the colors and glitter from the picture as my inspiration. I colored the image using crayola colored pencils. 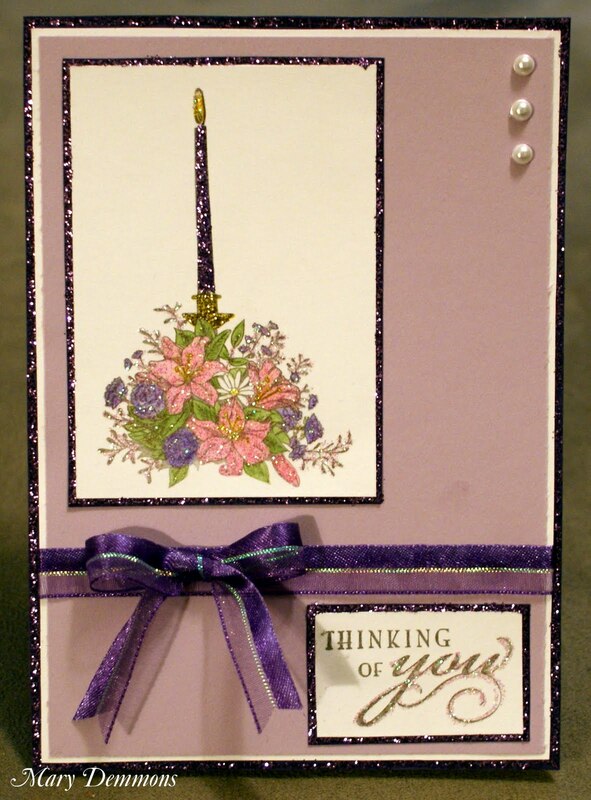 I added glitter to the flame and flowers using crystal stickles and to the candle and purple cardstock using lavender stickles. 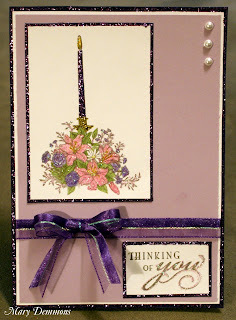 I added a purple ribbon and bow and 3 white pearls to finish off my card. This is so lovely. Love your coloring. thanks for joining us at DDSB. Beautiful. Thank you for joining us at Digi Doodle Shop's Best. Your card is beautiful... so soft and lovely! Thank you for joining Fresh Brewed Challenges this week! Thank you so much for playing along with us at Freshly Brewed Challenges Sparkle and Shine challenge!